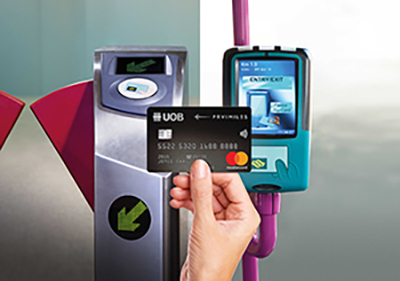 UOB changes its tune on ABT, now offers 1.4 mpd with the PRVI Miles Mastercard. A pilot for account-based ticketing (ABT) launched back in May. This allowed you to use your contactless-enabled Mastercard to pay for your bus/MRT rides, without additional charges. No need for an EZ link card, no need for topups. The prospect of being able to pay for public transport rides with a credit card was exciting because it implied the possibility of earning rewards points. However, a general rule about rewards points is that banks don’t like to award them on so-called non-discretionary spend, or spend that doesn’t need to be incentivized. Day to day public transport rides certainly fall into this category, and at the time ABT launched, UOB explicitly said that bus/train transactions would not earn rewards points. 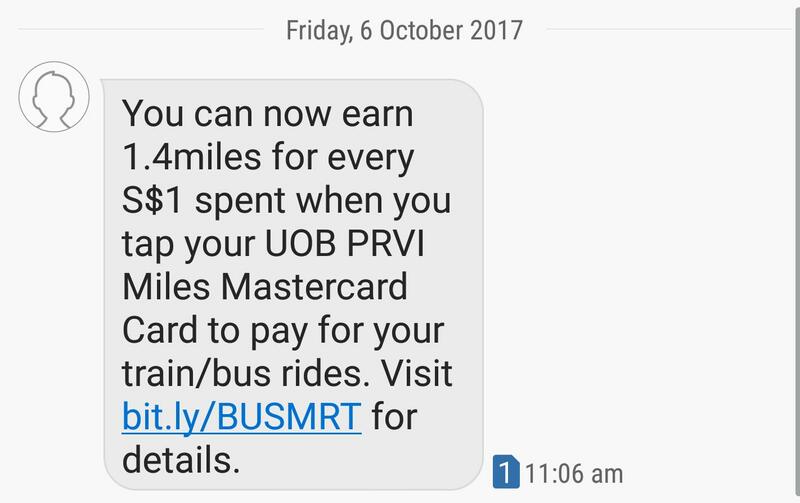 It appears that UOB is offering holders of the UOB PRVI Miles Mastercard the opportunity to earn 1.4 mpd on their public transport rides when they sign up for ABT. You can register for ABT here. Now I know what you’re thinking: UOB rounds down spending amounts to the nearest $5 for the purpose of awarding points. Since each bus or train trip is perhaps $2 at most, does that mean you end up with nothing? Your transactions will be aggregated, so as long as your spending over a 5 day period is >$5 you should earn some miles. However, the earn rate is really not worth considering. The UOB Lady’s Card and Preferred Platinum Mastercard earn 0.4 mpd, and as for the Krisflyer UOB Debit card…the less said about that the better. By my estimate I probably spend less than $100 on public transport a month, so this isn’t going to be a huge source of miles anyway. Still, every little bit helps, so I’m going to register my card now. Wonder why UOB omitted PRVI Visa cardholders.. Does anybody know if miles are awarded for top up at GTM? The Ocbc TR card gives 0.4mpd for online top up. On a separate note amex does not restrict spending. Three local banks – DBS is one. Others? When you say AMEX, I assume you mean true AMEX card and not the one issued by the local banks, correct? Technically speaking, UOB PRVI AMEX can make use of ez reload and earn 1.4 mpd too at a convenience fee of $0.25/reload. That’s still better than nothing. I would like to ask if UOB pool the UOB Miles together with UOB points together under the same roof? Or does it segregate the point per card (like what Citibank is doing)?